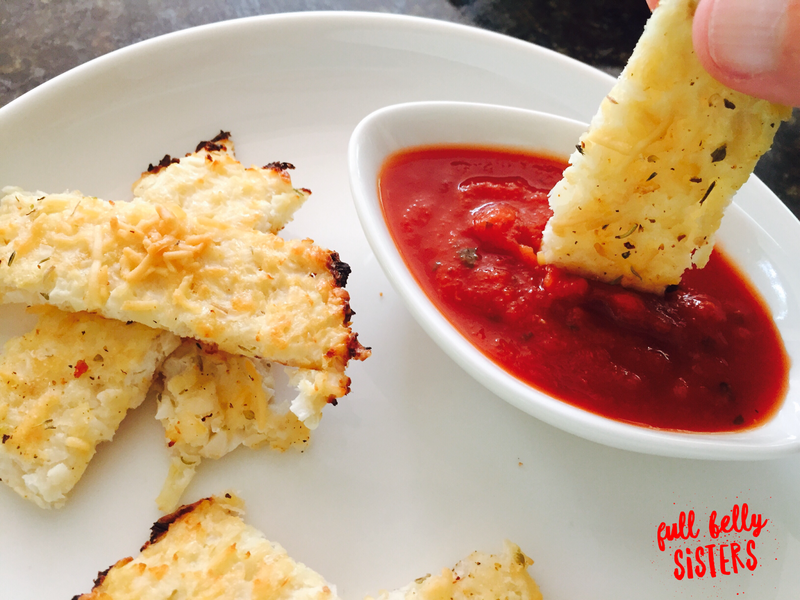 These easy Cauliflower Breadsticks from the book Natural Baby Food are the perfect, healthy finger food for your baby—or for you! 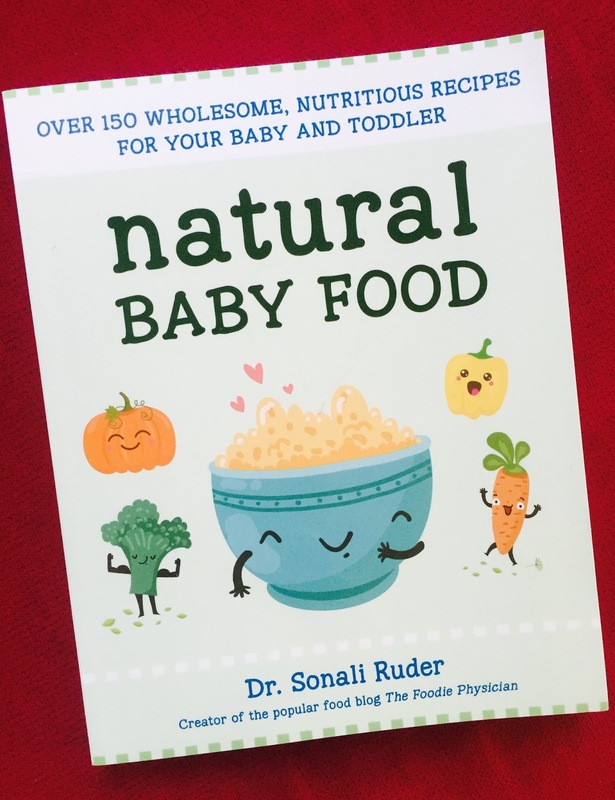 Dr. Sonali Ruder—physician, chef, and blogger at The Foodie Physician—is back with yet another great book! 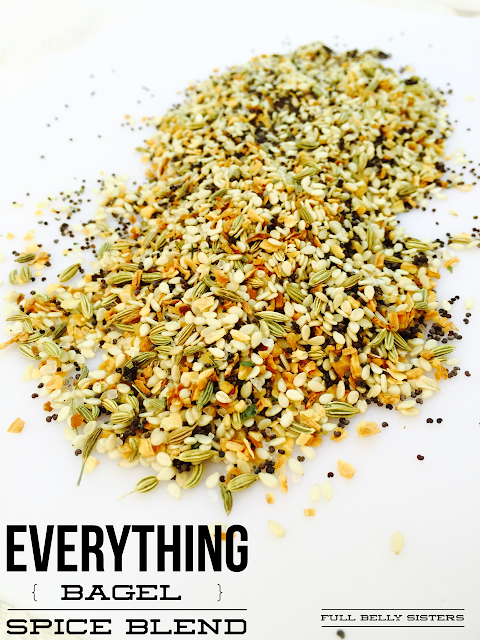 I previously shared Sonali's delicious Sesame Roasted Broccoli from her earlier book, Natural Pregnancy Cookbook. Well, this time, she's got the fantastic Natural Baby Food: Over 150 Wholesome, Nutritious Recipes for your Baby and Toddler. It's all about giving your baby a great start to good health by planning a healthy diet. And it's not difficult to give your baby the best food possible. Sonali offers loads of beautiful and simple-to-prepare purees, from "Pretty in Pink Raspberry Pear Puree" to "Turkey and Taters!" In the interest of full disclosure, I should note that I didn't give my son any purees; we went the Baby-Led Weaning route and really loved it. Baby-Led Weaning (BLW) skips the spoon-feeding and goes straight to self-feeding finger foods. The great thing about Natural Baby Food is that it also includes a great variety of recipes for finger foods for babies and toddlers—so it's a great reference book, even if you do BLW. I don't have a toddler at home anymore but I do still love healthy finger foods! I decided to make the book's Cauliflower Cheesy Bread. It's an easy recipe, and packed with antioxidants and an array of nutrients. Plus, it's gluten-free, grain-free, and low-carb—perfect for many who follow special diets. Preheat oven to 450 degrees. Remove the outer leaves and cut it into florets. Place them in the bowl of a food processor and pulse until the cauliflower is finely chopped and looks like rice. Transfer the cauliflower to a microwave-safe dish or bowl. Cover and cook in the microwave for 10 minutes. Alternatively, you can steam the cauliflower in a steamer basket or bake it in the oven at 375 for 20 minutes. When the cauliflower is cool, transfer it to a bowl lined with a kitchen towel or cheesecloth. Bring the ends of the cloth together and squeeze as much liquid out of the cauliflower as you can. I got about ½ cup liquid. Transfer the cauliflower to a mixing bowl and add the egg, Italian seasoning, ½ cup cheese, ¼ teaspoon salt and 1/8 teaspoon pepper. Mix to combine. Transfer the mixture to a baking sheet lined with parchment paper. Form the dough into a rectangle about 8 x 12 inches and ¼-inch thick. Bake in the oven 15-20 minutes until cooked. Remove the baking sheet and sprinkle the remaining ½ cup cheese over the top. Bake another 5 minutes until cheese is melted. Let cool a little bit and then cut cheesy bread into breadsticks. Serve with marinara sauce for dipping. To order your own copy of Natural Baby Food, click here. I make a small commission if you purchase through my links—which helps to keep this blog running. I received a copy of Natural Baby Food for review and was not compensated for this post. All opinions are my own. I really love this idea. It looks so good. What a great idea. I've seen the cauliflower pizza so why not a "bread" stick/ Sounds great for kids and grown ups! Is cheese necessary to keep the sticksticks together? Yeah, I believe so. I've never tried to make them without cheese, though. If you try it, let me know if it works!